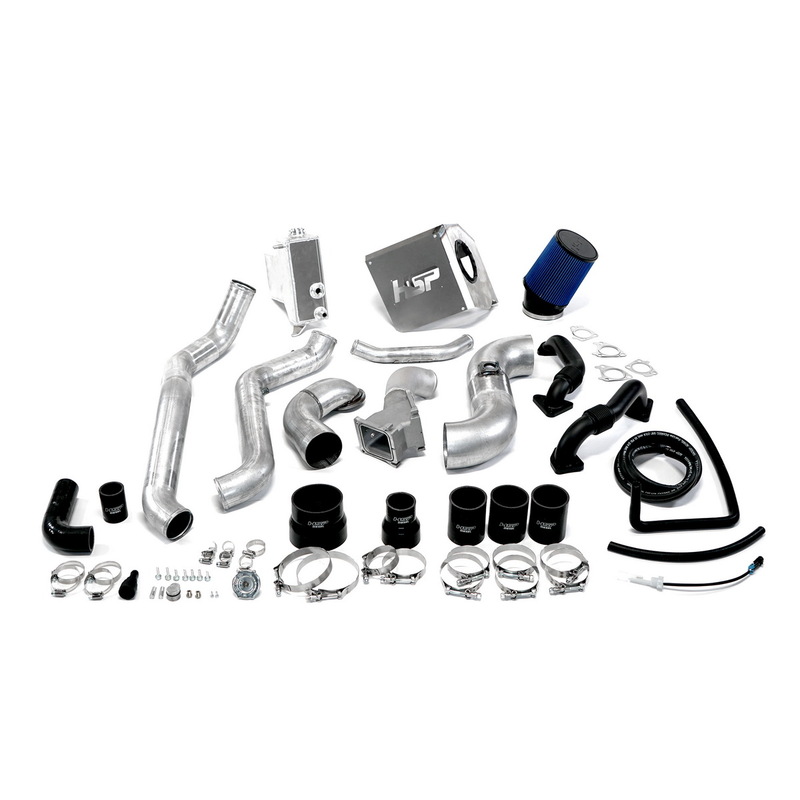 The factory hot side intercooler tube on your 2011-2016 Duramax is notorious for failure. The two piece design from the factory has crimped on boots that have a tendency to fail under heat and pressure, it's only a matter of time before it leaves you on the side of the road. The factory cold side also has its limitations and is made of plastic with an unreliable clamping system. This kit replaces all the failure prone piping and will come with our race proven 5 layer silicone boots to give you years of worry free driving. Companied with our Max flow Y-bridge and turbo mouthpiece you can expect to see gains in performance while keeping engine temps down. To help get the exhaust gases out of the engine, this kit includes our factory replacement 2 inch up pipes. Our up pipes use .120 inch wall tubing with the toughest bellows on the market to ensure they last as long as your truck. Also included is our factory replacement coolant tank to keep your engine bay looking good. Our coolant tank features an all aluminum design with an incorporated low coolant sensor. To top it all off we added our upper coolant tube to add a little extra color to your engine bay. This tube will also give additional room for dual pumps eliminating the possibility of the hose rubbing the wheel.